Today I’m going to give you three great smoothie recipes. They happen to be three of my favorite recipes. Usually my smoothie recipes contain lots of vegetables but today these recipes just taste really good and are more leaning towards a lower carbohydrate – higher fat diet such as a ketosis diet plan. The recipes are for a Chocolate Banana and Peanut Butter Smoothie, a Chocolate Coconut Smoothie and a Coconut Berry Smoothie. 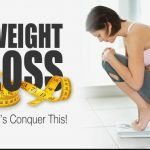 If this is your first time visiting our website and you would like more information on our Philadelphia Medical Weight Loss Doctor Supervised Program I invite you to call and schedule your free weight loss consultation. Just call us at 215-821-7336 and are friendly staff will gladly schedule your consultations and answer all of your questions. The recipes I’m giving you are for approximately 1 serving. Depending on how thick you like your smoothies you can add anywhere from ½ cup – 1 cup of milk to the recipes. I like my smoothies to be a bit thicker so for me ½ cup of any milk beverage is usually fine. Blend and enjoy! You can add more or less milk depending on how thick you like your smoothies. Combine in your blender, blend and enjoy! ice cubes – 5, again you can add more or less ice cubes. Place everything in a blender, blend and enjoy! 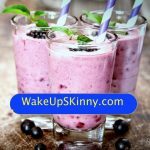 There you have it, three awesome smoothie recipes to help control your appetite and achieve your weight loss goals. Everyone coming into the office seems to be really enjoying the smoothie recipes and many patients have shared their own smoothie recipes with me and have given me permission to put them on our website. So, if you enjoy these recipes please let us know the next time you come into the office and if you have some recipes that you would like to share with everyone please let us know that as well. And our medical assistance wanted to make sure that we mentioned our new smoothie board that we have in the waiting room. Our smoothie board has a new smoothie of the week, each week so be sure to take a picture of it, that way you can enjoy it later. If you, a friend, coworker, loved one and/or family member need help with improving your health and wellness and losing weight I invite you to call us and schedule your free weight loss consultation. Just call us at 215-821-7336 and schedule your free visit now. This entry was posted in Diet Doctors in Bucks County, Diet Doctors in Philadelphia, Medical Weight Loss, Medical Weight Loss in Philadelphia PA, Medical Weight Loss Philadelphia, Philadelphia Weight Loss Doctor, Philadelphia Weight Loss Doctors, weight loss philadelphia and tagged "Philadelphia Diet Doctor", "Weight Loss Doctors in Philadelphia", appetite suppressant medications, medical weight loss in philadelphia, philadelphia weight loss doctor, philadelphia weight loss program on June 28, 2018 by Dr. Michael Kenny. 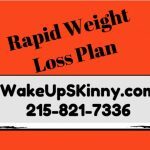 If this is your first time coming to our website and you’re looking for a Philadelphia weight loss Doctor I invite you to call us to schedule your free medical weight loss consultation. Just call us at 215-821-7336 and we will gladly schedule you for your free consultation. In our weight loss program to use FDA approved appetite suppressant medications, weight-loss pills and diet pills, vitamin B12 injection therapy and we coach our patients in the proper nutrition diet plan and of course exercises well. Over the past years, the FDA has approved many more medications for the treatment of obesity and people being overweight. Weight-loss medications may include Phentermine, Adipex, Phendimetrazine, Bontril, Belviq and Saxenda. All of these medications work in different ways to help eliminate appetite, hunger and cravings in order to assist people in losing weight and achieving a healthy body weight. Of course along with the weight loss medications a person needs to follow a sensible eating plan and an exercise program even if they just walk a few times a week. All of these things work synergistically and helping a patient lose weight and also hopefully improve their overall health and wellness. That’s why we spend quite a bit of time reviewing nutrition and exercise with patients. And of course every week or so we like to update this blog with great recipes that range from smoothies, appetizers, entrées and even desserts. With all of that being said here are 4 delicious smoothie recipes that are refreshing, nutritious and packed with fruits and vegetables. 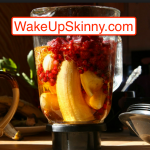 Combine all of the above ingredients into a high powered blender, blend and enjoy. Just put all of these ingredients into the blender, blend and enjoy! Simply combine everything into a high-powered blender, blend and enjoy! I hope that you enjoy all of these recipes and if you, a friend, loved one or family member need help losing weight I invite you to call and schedule your free weight loss consultation. Just call us now at 215-821-7336 for your free consultation. 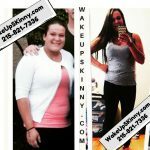 This entry was posted in Diet Doctors in Philadelphia, Medical Weight Loss, Medical Weight Loss in Philadelphia PA, Medical Weight Loss Philadelphia, Philadelphia Weight Loss Doctor, Philadelphia Weight Loss Doctors, Weight Loss, weight loss philadelphia and tagged "Weight Loss Doctors in Philadelphia", medical weight loss in philadelphia, philadelphia weight loss doctor, philadelphia weight loss pills on February 12, 2018 by Dr. Michael Kenny.